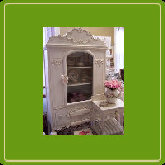 For a complete list of antique shows & flea market festivals, visit our Antique Show Calendar . . .
A few months ago, we wrote about The Georgian Period and Thomas Chippendale. 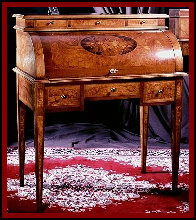 Many people who admire or collect antique furniture are very familiar with Thomas Chippendale and George Hepplewhite; and rightly so, as these are two of the most talented and gifted furniture designers of the 1700’s; a period that was full of gifted designers. What a lot of people don’t realize is that there was a third member of that group that was equally talented craftsman whose name is not as well known unless you are really into period furniture. His name was Thomas Sheraton. 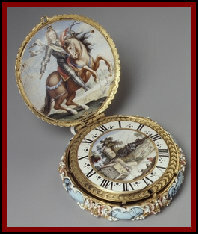 This Saturday and Sunday, October 24 & 25, 2009, the Salt City Autumn Antiques Show will take place at the New York State Fairgrounds in Syracuse, New York. This annual antiques show which attracts over two hundred and fifty dealers from around the world features period antique furniture, vintage pottery and glass, estate jewelry, vintage toys and lighting as well as rugs, antique lighting and quilts. It runs from 9 am to 5 pm on both days. People in the DC metro area are very familiar with the DC Big Flea which takes place every few months in Chantilly, Virginia . 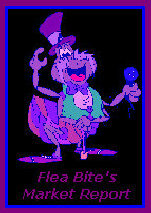 . . well this Saturday and Sunday is the debut of the Baltimore Big Flea run by the same folks of DC Big Flea fame. This antique show, which will take place at the Maryland State Fairgrounds, has attracted many dealers from around the country featuring antique furniture and vintage collectibles as well as vintage posters, fine art and vintage toys. Inlay is the technique of inserting pieces of materials into cutouts of contrasting materials. 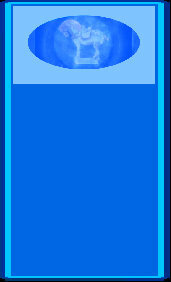 This technique was used by many designers, who use this type of technique to decorate items with mother of pearl or ivory. Many of us have seen examples of this in Asian pieces, where black lacquered furniture has mother of pearl designs inset into the furniture creating a beautiful mosaic type design. 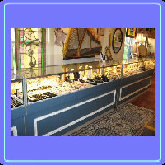 In many cases, they also used Rosewood as the base and ivory or shells to create the designs. 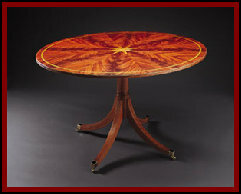 However, one of the most prolific furniture designers that used this technique was Thomas Sheraton. Mikey goes to see his travel agent. "Hey Larry, going away on holiday again?" "Yes, but I'd like to try something different this time." "Okay,” says the agent, “what did you have in mind?." "You know last year you suggested Hawaii and when I returned my wife was pregnant." "Yes, but. . ." "And the year before you suggested Bermuda and when I returned my wife was pregnant." "Yes, but. . ." "And the year before that I went to Bali and when I returned my wife was pregnant." "Yes." "Well!” exclaims Mikey, “Could you suggest something cheaper this year so that I can take her with me?" 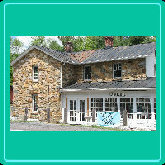 At the Richard D. Hatch Gallery in Flat Rock, North Carolina recently, a pair of Tiffany sterling silver salt and pepper shakers brought in more that $4,000. 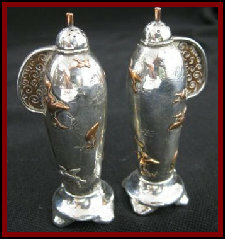 The salt & pepper shakers measured about 3.75 inches tall and were in the Flying Crane pattern. This auction, which included more than 1400 lots of antiques and collectibles grossed more than $250,000 and attracted more than 340 online bidders from around the world. The winner of the Tiffany salt & pepper shakers was a buyer from New York. I was watching a television program the other day and a commercial for one of those companies that offer to buy your unwanted jewelry came on. I’m sure you have all seen them, they are like vultures; they know that in a down economy, people are more apt to sell their valuables and take pennies on the dollar for things. This particular commercial made me laugh because they had the audacity to say that jewelry that is just lying around your home is “never a good investment.” Then of course they make a pitch for you to come on down and sell it to them.